It's already the middle of February and I really don't know where the time has gone. As usual, despite all my planning, things haven't gone to plan, but as a good friend of mine always says "there's always Plan B". Unfortunately, I've had to postpone my sessions in March at Mafia Makes as life has taken over and so...I've had to go to Plan B...and I will do them later in the year. However, fortunately the Make & Take Craft Group tends to just organise itself so they will continue as normal. 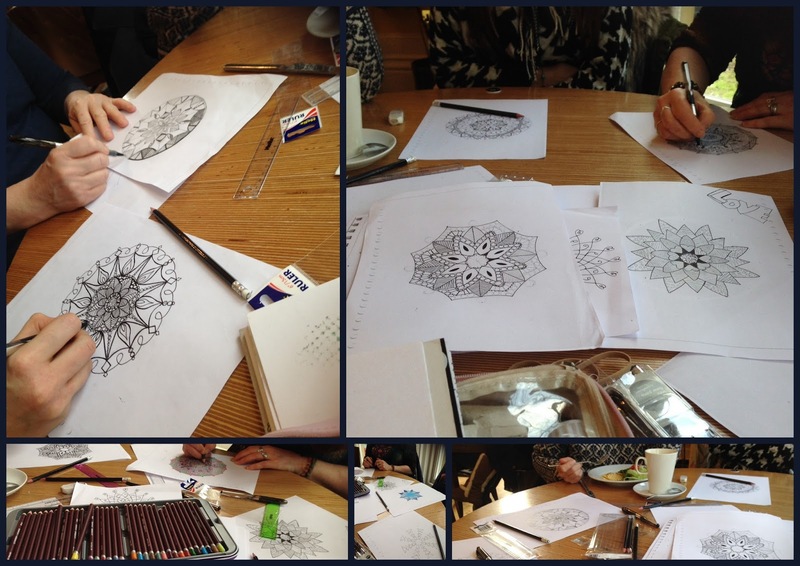 In our first session in February, I taught how to design and draw Mandala's. I must admit that I've found them quite addictive and got a bit carried away by drawing them. 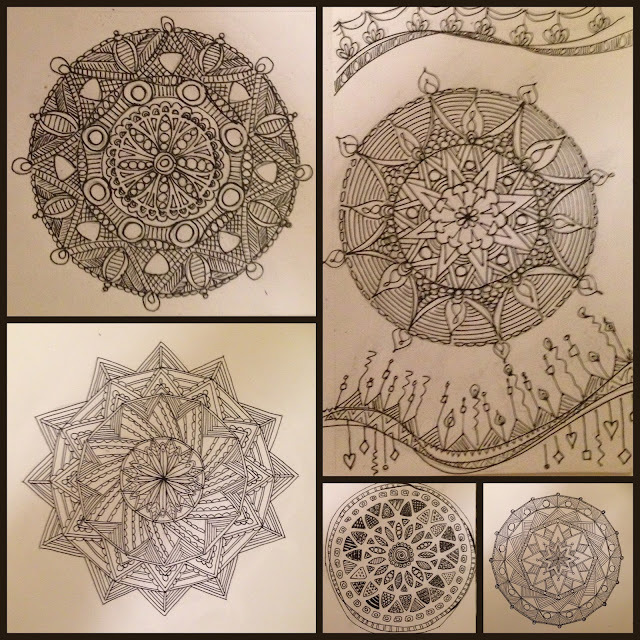 February, so far has been quite stressful and drawing Mandalas and doodling on them is really therapeutic...and anyone who knows me, knows that I am a great fan of anything therapeutic!! 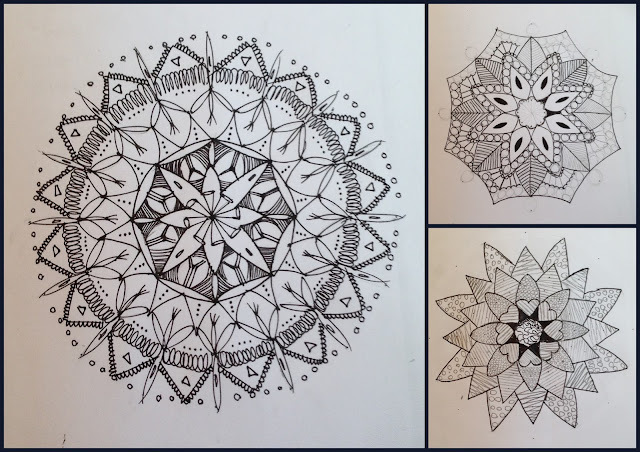 Here are some of the Mandala's I came up with when I was preparing for my class. I really enjoyed experimenting with different styles and doodles. I eventually came up with a template which I printed out for the group and here are some of their designs...and for their first attempt...I am sooooo impressed! Well done, my lovely ladies!! !